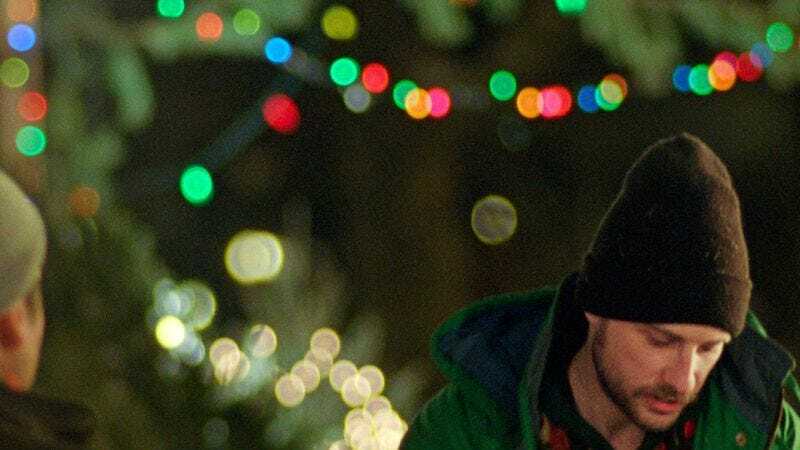 A couple of years ago, Paul Giamatti and Paul Rudd starred in a mediocre not-quite-comedy called All Is Bright, about a couple of former petty thieves trying to eke out a living selling Christmas trees on the streets of New York. Nothing about it felt authentic—it’s the kind of movie that tries to liven things up a bit by making one protagonist’s girlfriend the other protagonist’s ex-wife, and by throwing in a Russian maid (played by Sally Hawkins) speaking fractured English in a broadly stereotypical accent. By contrast, the even tinier indie film Christmas, Again, which focuses on just one NYC tree merchant, offers virtually nothing but authenticity, and makes a strong case that getting the details right is more than enough. 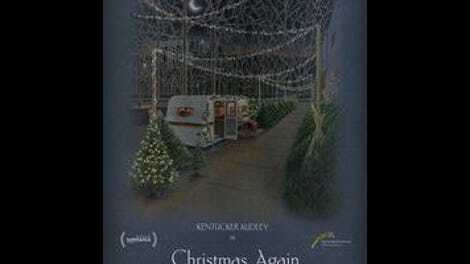 First-time writer-director Charles Poekel (who’s also worked as a cinematographer, mostly on documentaries) sold Christmas trees himself for several years, and loosely based the screenplay on his own experiences; the film amounts to a collection of indelible moments, many of them piercingly lovely and delicate. As the title suggests, Noel (Kentucker Audley, a notable filmmaker in his own right) has been doing this job for a while. (Giving the character a cutely ironic name is one of Poekel’s few glaring missteps.) Gradually, it emerges that this is the first time he’s done it alone—he had a girlfriend who worked alongside him in previous years, with whom he’s recently broken up. It’s typical of Poekel’s minimalistic approach, however, that we never learn why, nor much of anything else about the relationship. The focus is squarely on Noel’s loneliness, which is ever-present without being underlined. A sliver of a story gets introduced when Noel finds a young woman named Lydia (Hannah Gross) passed out cold on a park bench and takes her back to his trailer to sleep it off; after some initial embarrassment and hostility on her part, the two form a tentative friendship, and she accompanies him on some deliveries. But Lydia’s presence in the movie is sporadic, and Poekel isn’t interested in something as mundane as a new romance. He’s basically trying to make Seasonal Affective Disorder: The Movie, and comes damn close to pulling it off. He has a tremendous ally in Audley, who gives one of the year’s best performances (albeit one destined to receive no awards and scant attention). The temptation to court viewer sympathy by making Noel an overt sad sack must have been great, but Audley mostly resists, creating a portrait of a guy doing his best to stave off uncomfortable feelings by concentrating on the job at hand. (Watching Noel huddle up close to a space heater in his trailer, or try to find the person who ordered the tree in the middle of a jam-packed house party, it’s easy to tell that Christmas, Again is rooted in personal experience.) Instead, Poekel, working with cinematographer Sean Price Williams (Listen Up Philip, Heaven Knows What) and editor Robert Greene (director of last year’s Actress), conveys a melancholy mood by juxtaposing Noel’s professional stoicism with the warmth radiated by various happy couples shopping for a tree. Most of these minor characters are seen only once, but make a strong impression nonetheless, and Audley somehow manages to suggest a churning sea of stifled emotion without telegraphing Noel’s envy and longing. Each fleeting connection just seems to underscore how alone he is, making Lydia—despite her being a nearly total stranger—seem that much more important. Poekel finds an ending for this uneasy alliance (among other things, Lydia has a boyfriend) that’s at once unexpected and poignant. Whether he has another movie in him is anyone’s guess, but in this instance, at least, “write what you know” paid off.